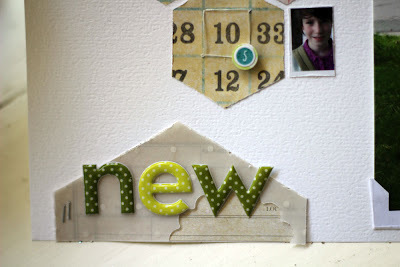 I made this layout in response to the April My Mind's Eye blog challenge to use hexagons on a layout. 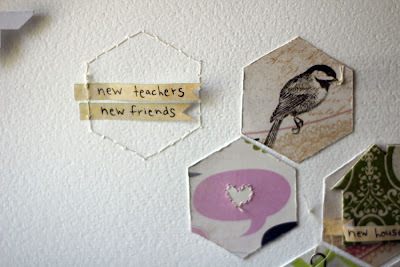 I used several different My Mind's Eye papers for this page and cut out hexagons, and stitched along each side. I see papers from Lost and Found, Lime Twist, and Stella and Rose on this page. I scattered the hexies around the layout and used them as a foundation to frame embellishments. This page is all about our "new year" this past September -- all in one month we had a new house, a new city, a new school, new grades for the girls, new teachers, new friends, AND a new baby! It was an exciting month! I stitched around one of the hearts in a converstion bubble from Lime Twist, and embroidered a hexagon on the background cardstock to tack some journalling flags in place. The sweet little bird is holding a knot of thread in his beak. I folded an envelop out of MME ledger paper and sealed it with a heart. I love the way the baby onesie really jumps out when placed on that fantastic lime green and white chevron paper from the Lime Twist collection! 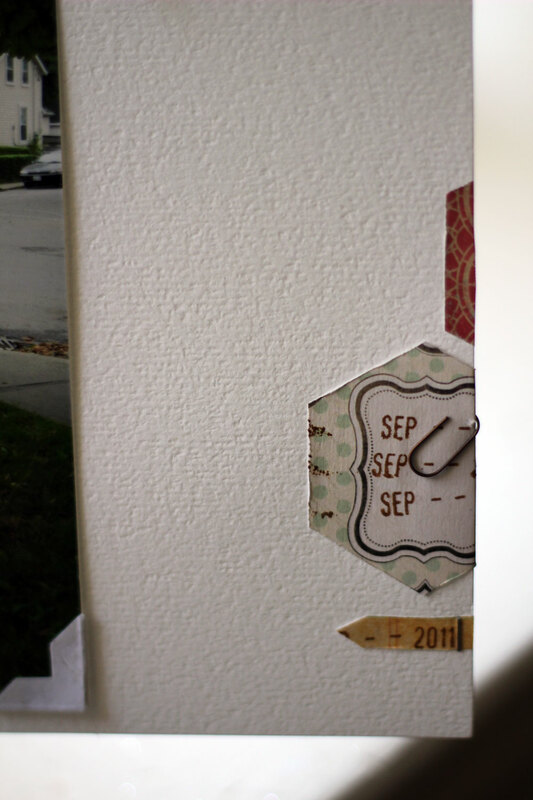 I fussy cut a frame into a hexagon and then date stamped the month into the frame. A portion of an over-sized hexagon holds the title. The numeral grid paper was a perfect way to subtly indicate the girls' age by stitching a box around the appropriate number. I punched a small circle out of some lime green MME paper and added a round number sticker and placed the little accent on a pop dot to show what grade each daughter was entering into. This was a fun challenge! 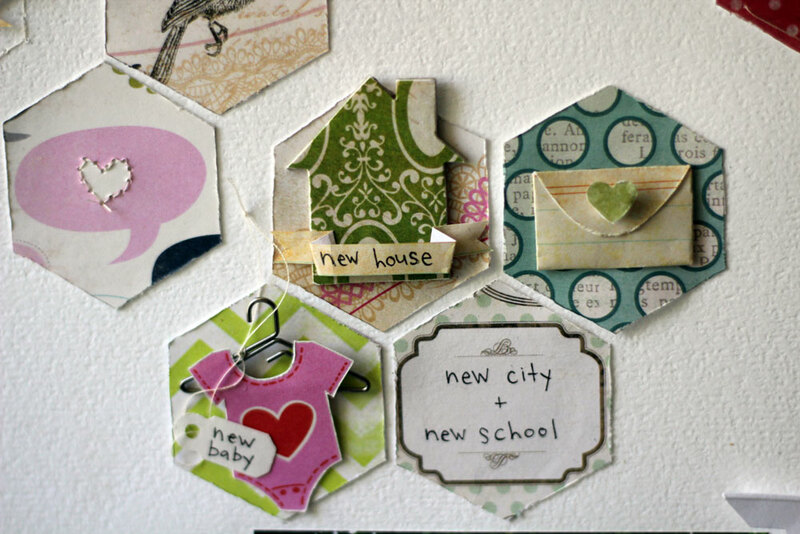 I have long admired hexies in quilts but had not yet used them on a scrapbook page. I am glad I was able to use this MME challenge as motivation to finally try them out!